Manufacturers who sell devices with Google Play Services installed have to adhere to a strict set of rules. OEMs who fail to abide by these rules will have their Android devices stripped of certification to access the Google Play Store. These rules include what applications must be preinstalled, and Google Chrome and Google Search are two of these. 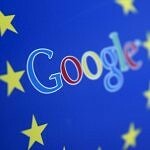 According to a report from The Washington Post, the EU may block Google from keeping this particular requirement in place. The punishment to be presented by Margrethe Vestager, the European Union’s competition chief, is a fine expected to reach into the billions of dollars. This isn’t the first time Google has had trouble in the EU. Back in 2016, Google was ordered to stop offering a financial incentive to OEMs to offer Google Search exclusively on Android smartphones. Following that, Google was fined $2.7 billion by the European Commision for manipulating shopping search results. Now we’re seeing something similar again, as Google has been accused of basically strongarming device OEMs to preinstall Google applications on Android smartphones. If they don’t, they will not be able to use the Google Play Store, which will basically shut a device out from the market. Google will be facing a fine, but they will also have to change how they treat preinstalled applications as well. The upcoming ruling could mean that either Google loses the right to force these preinstalled applications to be present on Android smartphones, or the company may have to offer up an easy way to switch to alternative search engines and browsers. While it’s a good thing for consumers, it may cause Google to rethink its profit strategy on Android. With Google Search offered up by default, Google can learn more about users and offer up targeted advertisements – where the company’s true profits lie. The same goes for Google Chrome. If consumers turn to alternative browsers then the company cannot gather data on your browsing habits. “Nobody is forced to take Google’s apps, but if you want to have certain apps you have to have the whole suite,” said Jakob Kucharczyk, the vice president for competition and EU regulatory policy for the Computer & Communications Industry Association, a trade group that represents Google. That helps Google “make sure they can fund the open source in first place,” he said.